I went on a scouting mission this morning to evaluate my favorite spots in preparation for the Fall Color with Safari West Workshop that begins tomorrow at my studio in Santa Rosa, CA. 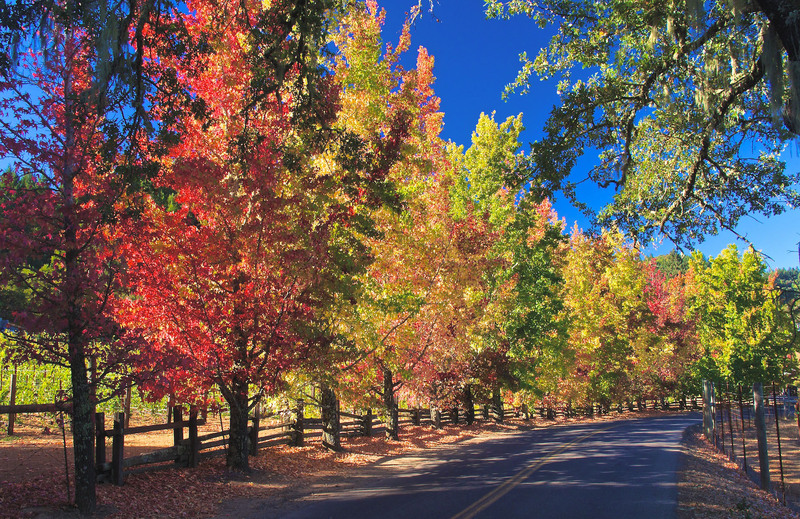 The color is just beginning here in Northern California, and will continue to intensify over the coming weeks. Healdsburg, CA. Photo by Derrick Story. I still haven't decided where we're going for our Sunday morning landscape shoot. But I think this spot might be a contender. Stay tuned for reports on the workshop, including images by participants.